ProfitForest is a very new revenue sharing website that provides earnings to members through click advertising, trading shares, investing in crowd-funded projects, playing games and through referrals. Members who have more points receive high value paid advertisements. To get more points, you need to purchase ads. You start to receive paid advertisements after accumulating 1500 points. The minimum cashout is $5. Payment release is 24-28 hours after requesting payment. Aside from clicking advertisements, ProfitForest also offers other investment programs that are listed under the “Investment Programs” section. This section is divided into Silver, Gold and Shares. Depending upon the level, profit and loss ratio of ProfitForest, you can get 150% return after a few days by investing in a Silver Plan. Investing in a Gold Plan will earn you a 200% return, while the benefit you get by investing in Shares is you can sell when the share price increases. Although there is no proof if ProfitForest is a scam PTC site, the unavailability of information about the owner and his location makes its legitimacy even more questionable. The long wait for the cashout is another issue to tackle. 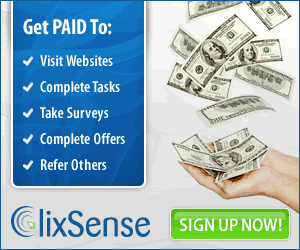 Why waste time when you can find a more reliable site that pays you instantly! This program looks great ! Hope it’ll last for long !